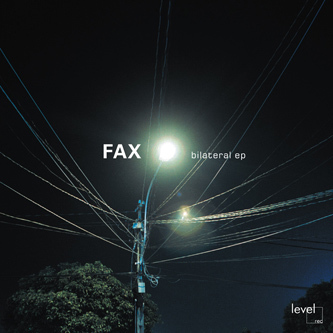 Fax from mexico has released excellent music on Traum, Staticdiscos, Rocketracer, and Interdisco, made several remixes, and contributed to various compilations. Bilateral features richly flavored variations of a distinctive approach to minimal music - rolling clicks and glitches, against a backdrop of granulated ambience, to dubdriven chords and grooves. The four tracks are highly emotional pieces - deep & warm sounds and delicate beats. Fax creates arrangements that reveal a unique symbiosis between the heat and vastness of the mexican desert and modern elements with a strong urban touch. While many minimal artists opt for mere functionality, Fax introduces deep and complex grooves - next-generation dub aesthetics for the clubs.